I used to do this project with my students at school. We would look at the artist Claus Oldenburg and make sculptures of our favorite foods using white Model Magic and then painting them with watercolor. My students always loved it. The other day the girls and I were playing one of our most favorite games, resturant! Since we have a limited selection of plastic play food the Bee kept serving me the same meal. 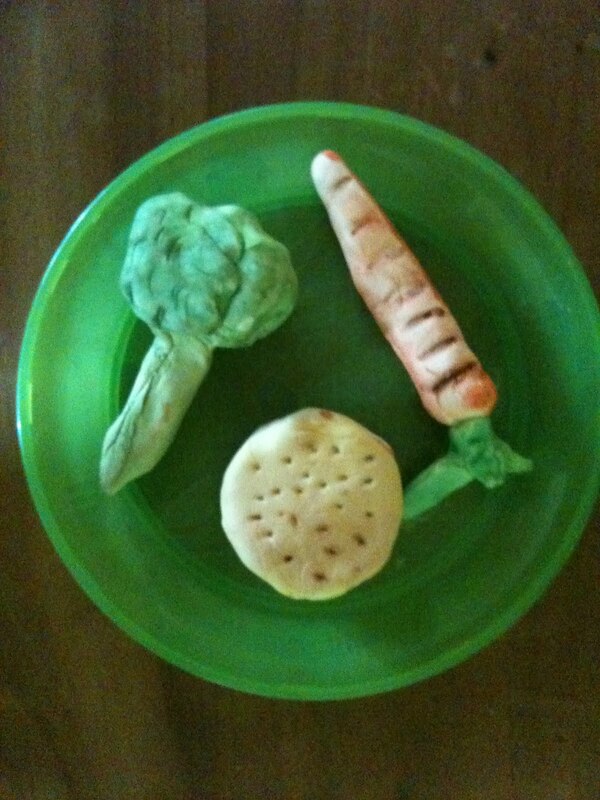 So I thought I would make some new play food to widen our pretend eating options. 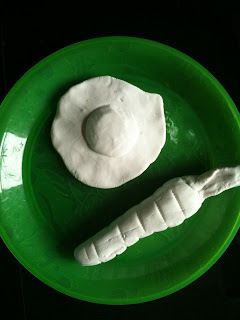 The Bee helped and worked on her own sculpture while I made a variety of play foods. We then painted them with watercol ors and now our resturant has a full menu! How fun! I would love for you to link up and share this over on my mommy solution meme. Thanks Crystal! Just checked it out, Your site is full of great ideas! Great idea! Way better than buying stuff. Just posted about this on CraftGossip...sorry so late, still catching up from NY! Kristen- Thanks so much for sharing this post!